My memory is appalling. Am I succumbing to Mam's Vascular Dementia? And all the time I am drinking. Three bottles of beer a night. At least I’m not on wine. A little victory for self-respect anyway. I want to spend time with Mam when she is awake. By the time I get there in the evening she is exhausted and sleeps in my company. I understand that Mam is incredibly active during the day. How do you leave a parent suffering from dementia? Not easy. Impossible. The care workers tell me that she troops up and down the long wide ward corridor for hours along with Mary, Margaret and Gwendolen, looking for a way out and calling my name. By the time I arrive, Mam is exhausted. I miss those times when we used to sit there and watch Countryfile or Songs of Praise on my iPad talking about what’s going on or listening to Mam sing along to the hymns, temporarily free of her anxiety and terror. The map is not the territory. The diagnosis is not the person. Mam is still an identifiable person and recognises some friends who have the courage to come visit. The emotional world can be addressed on a personal level as an individual takes that time to recognise and record and pass on his or her discoveries to others who might visit. I notice that I have a family in competitive illnesses so at they do not have to bugger up their lives by visiting regularly and to committing to the notion that she is their mother and they owe her a massive debt and should make some effort to take care of her. I sometimes wish I had the strength to not visit the dementia care home so often and allow Mam to just fade rapidly into her disease. There is only one little problem with that thought, I would not be able to live with myself. I know that when I am not there she calls out my name incessantly. The staff promise her that I will there soon. Mam forgets and then is back searching for me. The only time she doesn’t is when I am there. There are people who move among us who hope for miracles daily. We are the family members and carers who are chasing beds in dementia care homes. 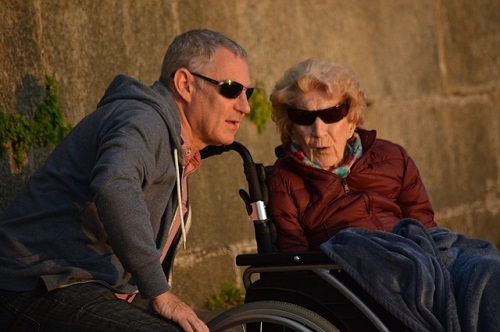 Mam was in hospital for months before we could find her a home – another nightmare for Mam. A friend has just been through the same experience and finally found a place. The relief is palpable in their demeanour and conversation. I was called at work – Unknown Number again – I took a deep breath and answered. It was the owner of a care home around sixty miles away. The lady had been to evaluate a patient suffering Alzheimer’s disease in Mam’s closed ward in the local hospital and was asked to evaluate Mam in case she had a place available for her in her care home. The hospital is keen to clear beds and I understand why. So many elderly patients are unable to leave because they can no longer care for themselves and a desperate lack of beds in care homes sometimes forces the hospital’s hand. The nurses and health care workers who looked after Mam in hospital were marvellous and patient in caring for Mam and for me. Have you eaten? Although I was desperate to take Mam away from the madness of a busy ward full of dementia patients, I could not find it in my heart to allow her to be placed in a care home far away from the few references that she had made and retained to maintain who she was. As I have written on other pages, patients suffer and deteriorate when significant change is forced on them. Patients lose what little autonomy they have in their environment and they find this terrifying. I was also selfish. My car would never survive such travel. So I said no. The lady understood entirely and wished us both the very best. Me? Making decisions that would affect the life and wellbeing of another? That is once responsible I am desperate to pass that power to someone else. There is no-one. Work is bad right now and about to get much worse. I can just feel it. There is a seething tension about the place. Every day is a master class in vengeful fault-finding and nit-picking. LFB has his favourites and I believe he detests me and regards me as disloyal for daring to focus my attention on being a carer. I’ve had it with him.